MAKE YOUR DREAMS COME TRUE! YOU DESERVE IT! TAKE A BREAK FROM EVERYDAY LIFE... GO ON HOLIDAYS! 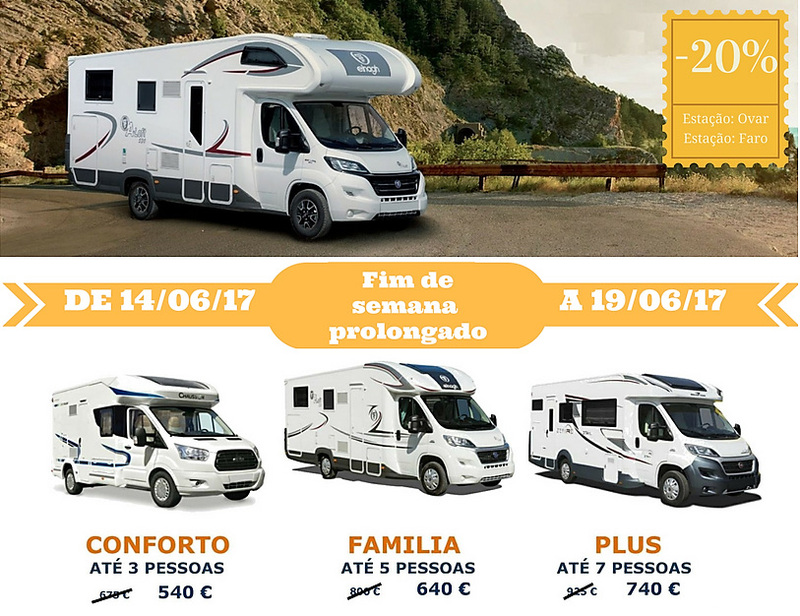 Official distributors in Portugal of prestigious motorhome manufacturers that raise up quality standards and comfort at very affordable prices: ELNAGH, ROLLER TEAM and BLUCAMP. We are leaders in Rental Service with depots in PORTO and in ALGARVE. Multibrand technical services and an accessories shop with more than 1.000 products available. We are proud to be providers of an unforgettable experience with Motorhome!